Los Angeles (E! Online) - Gus Van Sant is calling for a second take. The Good Will Hunting director pleaded not guilty Wednesday to charges of drunken and reckless driving, stemming from his Dec. 21 arrest in Portland, Oregon when police spied him sitting in his car at a traffic light with his headlights turned off. According to the Portland Police Bureau, officers approached Van Sant and observed that he had bloodshot eyes, was slurring his speech and smelled of alcohol. The filmmaker then failed sobriety tests and registered a 0.19 percent blood alcohol level—more than twice Oregon's legal limit of 0.08—on a Breathalyzer, after which he was taken into custody and booked for DUI at the Multnomah County Jail. Van Sant, who did not appear in court on Wednesday, instead entering his plea via his attorney, is required to attend an alcohol diversion hearing Feb. 9, during which a judge will determine whether the 54-year-old auteur is eligible to enter a diversion program, a move that could eventually get the charges scratched from his record. Multnomah County Court Judge Leslie Roberts ordered Van Sant to avoid alcohol and make sure to not drive without a license or insurance while this case is pending. When not motoring around town, Van Sant has been busy shooting his latest film, Paranoid Park, in and around Portland. Most recently, he was one of 20 directors to contribute a five-minute segment to the experimental romantic drama Paris, I Love You. 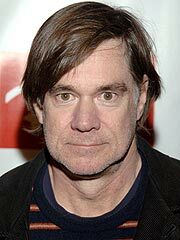 Gus Van Sant, who was arrested on drunken driving charges in December, has agreed to an alcohol diversion program, his attorney said Friday. The 54-year-old director, whose films include "Good Will Hunting" and "Drugstore Cowboy," appeared briefly in court Friday morning, avoiding reporters who were told that his hearing was to be held later. The state diversion program for driving under the influence of intoxicants, or DUII, requires participation in an evaluation and education or rehabilitation program for one year. Participants must enter a guilty or no contest plea to enter the program, but if it is successfully completed, no DUII conviction is entered, according to the Oregon Judicial Department. An assistant to William Uhle, Van Sant's attorney, said Van Sant pleaded no contest. The diversion program also avoids suspension of a driver's license, and there is no requirement to serve jail time or perform community service work. Van Sant has set several of his films in Oregon, including "Elephant," about a high school shooting, which won the top prize at the Cannes Film Festival in 2003. Nearly 40 years after its original publication, Tom Wolfe's hallucinogenic tome "The Electric Kool-Aid Acid Test" is headed for the bigscreen. Gus Van Sant is attached to direct, and Lance Black ("Big Love") will write the script. FilmColony's Richard Gladstein is producing, and he's in the process of setting the project with a financier. The book told the story of a cross-country road trip that "One Flew Over the Cuckoo's Nest" author Ken Kesey orchestrated with a group called the Merry Pranksters. Driving in a psychedelically painted bus from California to visit the World's Fair in New York in 1964, Kesey and his band used the trip as a way to turn on those they met to the mind-expanding wonders of LSD. Kesey ingested the drug while he wrote "Cuckoo's Nest," crediting the hallucinogen for many of the ideas in the book. Shortly after the Wolfe book was published in 1967, its film rights were purchased by entrepreneur Alfred Roven. Not a film producer, Roven had some meetings over the years with filmmakers but was very protective. When he died, Roven left the rights to his children, Daryn and Alison Roven. FilmColony's Gladstein was introduced to them by attorney Peter Grossman, and for the first time, the rights were entrusted to a producer. Van Sant, whose latest film, "Paranoid Park," was honored at Cannes, signed on quickly. The filmmaker cast Kesey in his 1993 film "Even Cowgirls Get the Blues" and dedicated his 2002 film "Gerry" to the author, who died in 2001. Van Sant enlisted Black, with whom he's collaborating on a biopic of slain San Francisco pol Harvey Milk. It's likely Wolfe will not be a major character in the film, which will focus on Kesey and include events that occurred after the road trip. Gladstein completed producing the Zach Helm-directed "Mr. Magorium's Wonder Emporium," which Fox Walden releases this fall, as well as "The Nanny Diaries" and John Madden-directed "Killshot," both of which the Weinstein Co. will distribute through MGM this fall. TORONTO -- Sean Penn as openly gay '70s politician Harvey Milk and Matt Damon as his assassin? Yes, if Gus Van Sant has his way. Penn is attached to play Milk and Damon is attached to play Milk's killer, Dan White, in the director's long-gestating Milk biopic. Producer Michael London and his Groundswell Prods. are financing the film, set to be produced by Bruce Cohen and Dan Jinks from a script by Dustin Lance Black ("Big Love"). The filmmakers are now in talks with a leading specialty division to launch the project. Once a deal is finalized, the team behind the as-yet-untitled feature hopes to begin production in San Francisco as early as December. The uncertain start date may affect Damon's participation. It's the latest chapter in a long-running race to film the biopic of the first openly gay prominent elected official, which has pitted Van Sant's project against another from fellow openly gay director Bryan Singer. Producers Craig Zadan and Neil Meron ("Hairspray") have attempted to produce a big-screen version of Randy Shilts' 1982 bio "The Mayor of Castro Street" for more than 15 years. Warner Bros. Pictures attached Singer to the project two years ago under exec Polly Cohen. This summer, Warner Independent Pictures signed a deal with Participant Prods. to co-finance that project and brought in Singer's "Usual Suspects" scribe Chris McQuarrie to write a new draft of the script. But McQuarrie is now in Germany with Singer working on "Valkyrie" and also working on the "Castro" script, making an immediate production start less likely to happen before Singer starts his "Superman" sequel commitment. In an ironic twist, Van Sant once wrote a draft of the "Castro" project and was set to direct his adaptation for Warners. Penn has never portrayed an openly gay character onscreen, but he did play the sexually ambiguous Olivia Newton-John impersonator "Groovin' Larry" in a section of Trent Harris' 2001 cult hit "Beaver Trilogy." Penn's video short was shot in 1981, then combined with Harris' 1979 documentary short on the amateur performer and his 1985 short narrative version "The Orkly Kid," starring Crispin Glover as Larry, to create "Beaver." Damon would play White, who shot San Francisco city supervisor Milk and Mayor George Moscone in 1978. After serving five years of a seven-year sentence, White committed suicide in 1985. London's Groundswell, a financing and production outfit that makes around five films a year in the under-$20 million range, is close to closing a distribution deal for Tom McCarthy's Toronto fest entry "The Visitor." London has produced several acclaimed films, including "Sideways," "Thirteen," "House of Sand and Fog" and "The Illusionist." Upcoming projects include "The Mysteries of Pittsburgh," "Smart People" for Miramax Films, and "The Marc Pease Experience" for Paramount Vantage. Jinks/Cohen Co. has produced such projects as "American Beauty," "Down With Love," "Big Fish," "The Nines" and "The Visitor." This could be interesting. It's a good story that needs to be told, and I would imagine that it will demand a different kind of storytelling style to what he's been ploughing lately. I love Gerry, admire Elephant, pretty much full-on disliked Last Days and don't have massive hopes for Paranoid Park. I like so much about his latest style on a formal level, but it's also come to be accompanied by a really irritating use of actors - treating them like blank, formal elements themeselves. The presence of Damon and Affleck, with their weight and star presence, helps Gerry avoid that paper-thin feel to characterisation, but the Milk story (along with Penn and Damon) will surely see him having to think a little more about his characters as people. Could be a nice refreshing change. Fox Searchlight has picked up "The Electric Kool-Aid Acid Test," a project which reunites the "Milk" team of director Gus Van Sant and writer Dustin Lance Black. Richard Gladstein and his Film Colony banner are attached to produce. "Kool-Aid," based on a 1968 Tom Wolfe book, was first packaged last year after Gladstein, who had the rights, enlisted Van Sant and Black. The project was then hunting for a financier. "Kool-Aid" is Wolfe's account of "One Flew Over the Cuckoo's Nest" author Ken Kesey and a group dubbed the Merry Pranksters as they drive across the country in a DayGlo-painted school bus dubbed Furthur, reaching personal and collective revelations through the use of LSD and other psychedelic drugs. "Milk," which stars Sean Penn, Josh Brolin and Emile Hirsch, already is generating advance awards buzz for its telling of California's first openly gay elected official, San Francisco Supervisor Harvey Milk. Focus Features open the film Nov. 26 in limited release. Fear and Loathing in extremely long takes? No seriously, that sounds awesome! Has anyone read the novel? One of my fav. books and one of the craziest novels I've ever read. ps. it's pretty difficult for me to imagine what a GVS adaptation of this book would look like.. which is exactly why i'm excited by this idea. Gus Van Sant Talks ‘Electric Kool-Aid Acid Test’ Casting: From Heath Ledger To… Jack Black? While there is much in flux about Gus Van Sant’s upcoming adaptation of Tom Wolfe’s Zeitgeist-defining book, “The Electric Kool-Aid Acid Test,” which centers on the LSD-infused cross-country road trip that novelist Ken Kesey and his Merry Pranksters took in the 1960s, the director is certain about one thing: he won’t be able to cast his ideal leading man. “Unfortunately, Heath Ledger was a pretty obvious choice, and he’s gone,” Van Sant told MTV News in an exclusive interview. But who else could play zany philosopher-king and “One Flew Over The Cuckoo’s Nest” author Kesey? “There’s the opportunity that it could be Jack Black,” says Van Sant, hinting the film might possibly take on a more comedic feel. At the moment, though, the “Milk” director is awaiting the initial draft of the screenplay, which is being penned by “Milk” scriptwriter Dustin Lance Black. Indeed, Wolfe’s “Electric Kool-Aid Acid Test” is a sprawling, multi-storyline beast of narrative nonfiction following, among other things, the LSD “test” parties Kesey and the Pranksters staged in San Francisco; early Grateful Dead shows; the Hells Angels biker gang; the psychedelic bus called “Further” that Kesey’s wacked-out crew drove across the country, making experimental films and tripping their faces off; the drug-related legal troubles Kesey eventually encountered; and, of course, the wild, wild experience of dropping acid in Haight-Ashbury before the rest of America began to turn on, tune in and drop out. However the finished script turns out, what is clear is the source material is dear to Van Sant’s heart. He cast Kesey in his 1993 film “Even Cowgirls Get the Blues” and dedicated 2002’s “Gerry” to the memory of the author, who died from complications following surgery for liver cancer in 2001. And for “Acid Test,” when it comes time to cast the leading man after Sean Penn blew critics away with his turn as Harvey Milk, the Kesey role as directed by Van Sant will surely be chased by almost every able-bodied actor in Hollywood. Gus van Sant is in negotiations with Columbia to develop and direct "Restless," an original screenplay by first-time screenwriter Jason Lew. Brian Grazer, Ron Howard and Bryce Howard will produce for Imagine Entertainment. The logline is being kept under wraps, though it is described as contemporary and distinctive take on young love. Lew and Bryce Howard attended New York University together and it was there that Lew first wrote the story as a play. Howard, who had acted in plays with Lew, got a peek at the story and encouraged him to write it as a screenplay. After several drafts and a "gestation period," Bryce Howard brought it to her father Ron who, taken with Lew's perspective and originality, wanted to further develop it for Imagine. Lew kept on working on the screenplay with Imagine execs, who ultimately showed it to Van Sant. Grazer was looking to reteam with his friend, with whom he worked on the Imagine-produced "Psycho" remake. Columbia's Doug Belgrad and Andrea Giannetti responded to the originality and raw emotion of the story and pounced on it. Giannetti will oversee for the studio, which aims to move fast on "Restless." The intent is to shoot the movie in Oregon for around $15 million. WME-repped Van Sant last directed "Milk." Mia Wasikowska is feeling "Restless." The teen actress, who plays the title character Tim Burton's upcoming "Alice in Wonderland," is in final negotiations to star in Gus Van Sant's next project, the dark coming-of-age drama "Restless" that's set up at Columbia and Imagine. Wasikowska would mark the first casting in the pic. The Australian actress had previously been contemplating a part in Robert Redford's post-Civil War drama "The Conspirator" before opting for the van Sant pic. Both films are scheduled to begin shooting this fall. A number of actresses had been in the mix for the lead role in "Restless," which delves into the complex tale of a teenage boy and girl who share a preoccupation with mortality. Producers are out to actors for the male lead. Bryce Dallas Howard is producing "Restless" with her father, Ron Howard, and Brian Grazer. Rookie scribe Jason Lew, with whom the younger Howard went to film school, penned the screenplay, developing it from a play he wrote. The WME- and RGM-repped Wasikowska also co-stars in Fox Searchlight's Amelia Earhart biopic "Amelia" and had a role in Edward Zwick World War II drama "Defiance" earlier this year. She came to prominence with her turn as the troubled teenager Sophie on HBO psychotherapy drama "In Treatment."